My first recipe isn’t actually a Lorraine recipe. It comes from the bbc website with my own twist. 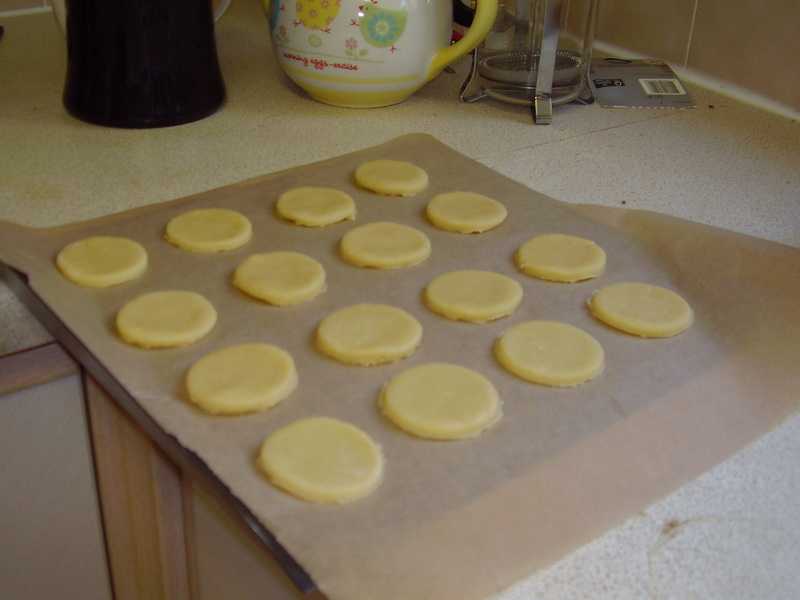 So I followed the bbc recipe and cut my shortbread into rounds. Note: I had to add a little bit of water to get the dough to come together. 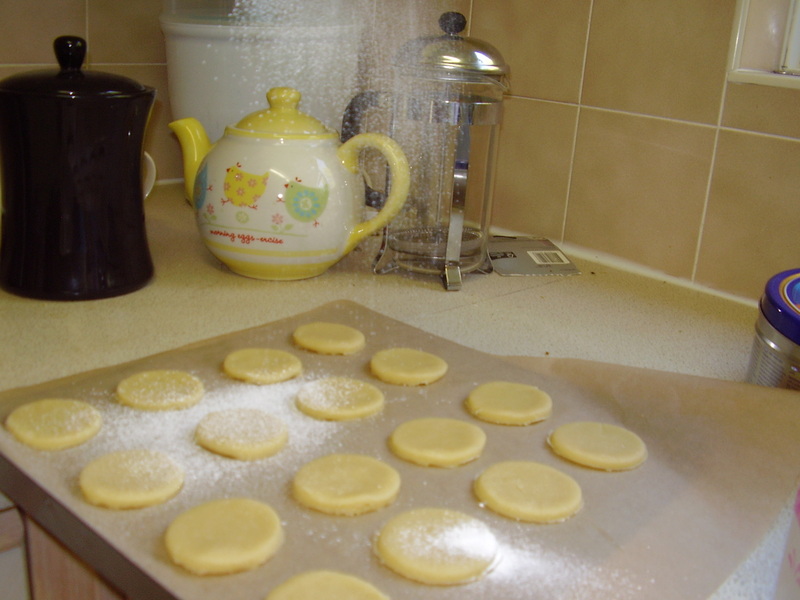 Then interestingly the recipe says to dust with icing sugar. It gives a crunchy layer when cooked. 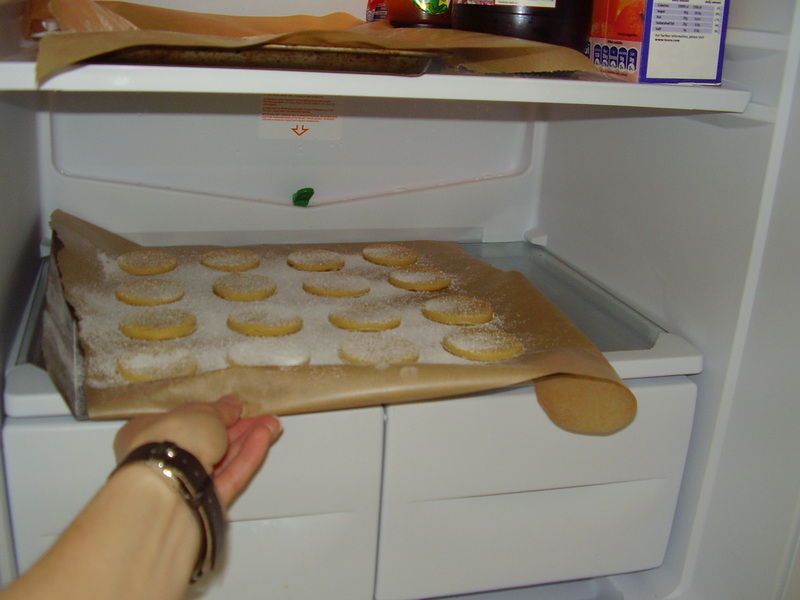 I dusted them using my mini sieve and then put in the fridge. 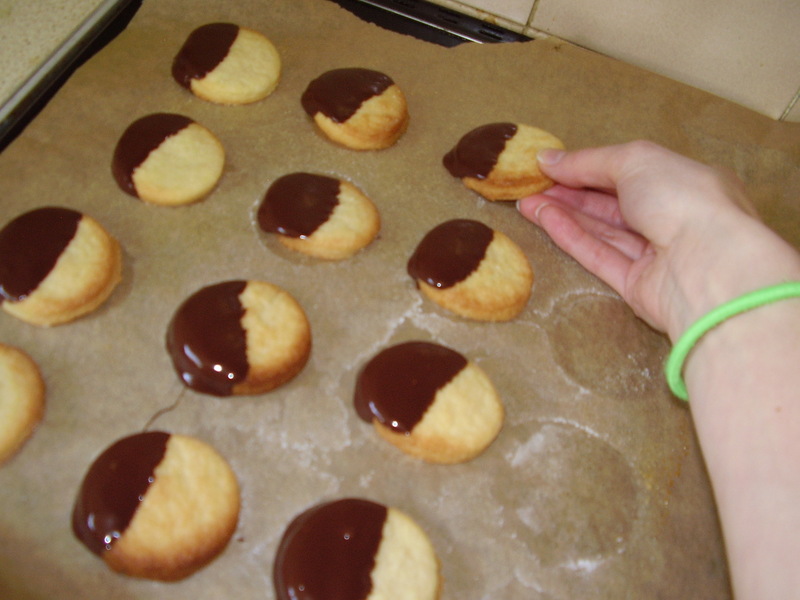 Once they were cooked and cooled, I added my own twist by dipping in melted chocolate. 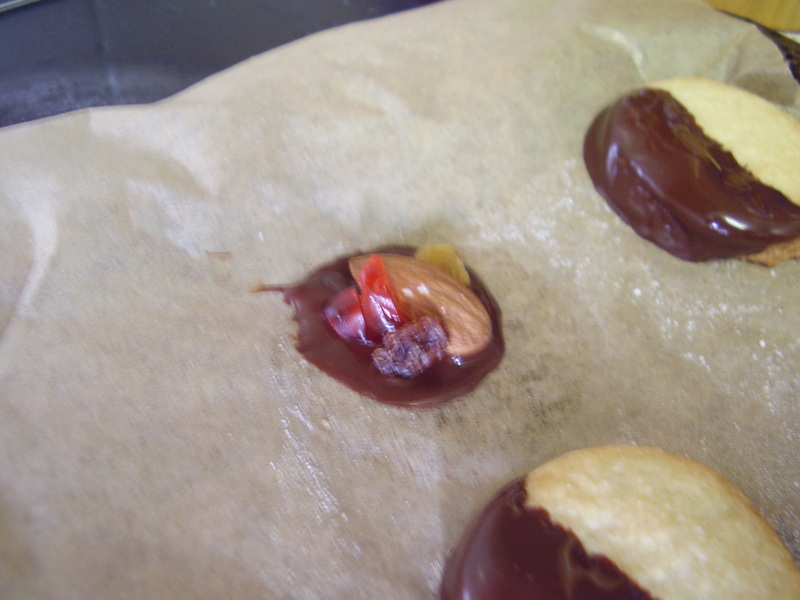 I had a tiny bit of chocolate left so I used it to make a little French chocolate called a mendiant. Incidentally, mendiants make great, easy Christmas presents. I love shortbread and will check it out. Thanks…the English make the best shortbread.